GPS III SV02 is part of the Air Force’s next generation of GPS satellites, which have three times better accuracy and up to eight times improved anti-jamming capabilities. Spacecraft life will extend to 15 years, 25 percent longer than the newest GPS satellites on-orbit today according to Lockheed Martin. Right behind GPS III SV02, eight more contracted GPS III satellites are moving through production flow at Lockheed Martin’s nearly 40,000-square-foot GPS III Processing Facility near Denver. 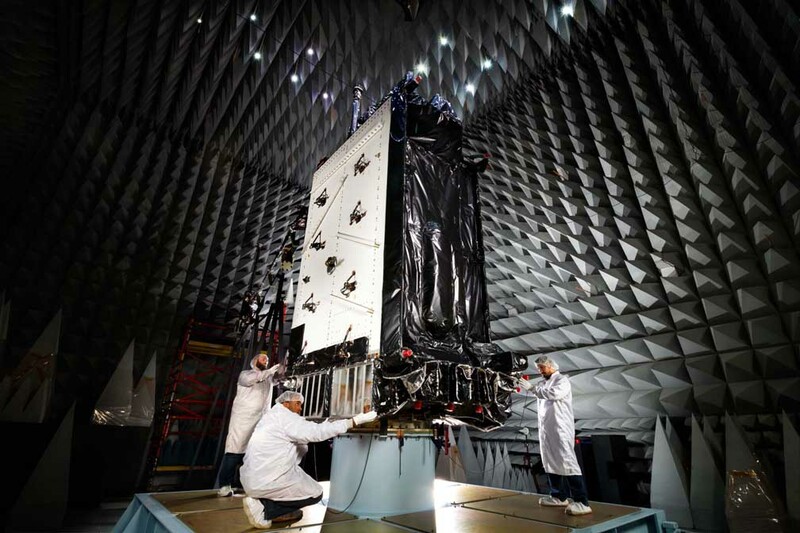 With multiple satellites now in production, Lockheed Martin engineers are building GPS III “smarter and faster”, the company says. Key to their success is the company’s GPS III Processing Facility, a cleanroom manufacturing center designed in a virtual-reality environment to maximize production efficiency. Lockheed Martin invested $128 million in the new center, which opened in 2011. For additional GPS III information, read these Inside GNSS articles published earlier: “Air Force Continues to Test GPS III Satellite”, and "GPS Budget Outlook Appears Solid”.